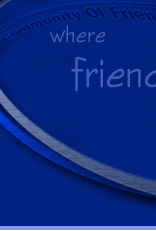 GoodToBeFriends(GTBF) - A Community Of Friends Around The World. Join Our Family! Good-to-be-friends, a diverse group of individuals who came together as friends, but over time grew to love and respect one another like family. Beyond the daily dialogue of the group. We're a family oriented group, we not only hang out and do things as adults, we also engage in events and activities for the children. Stop in, check us out because it's Good To Be Friends. © 2002 goodtobefriends.com - all rights reserved.